What would happen if you died 8 minutes from now? Would you be ready? Would you feel you had accomplished what you were meant to do, loved well, been awake to our world, or would you feel that you have wasted time? The Near Death Experience takes you on a profound and guided journey, infused with iAwake’s consciousness-altering sound technology, to discover what truly matters - now. We know we could die at any moment, but do we really? Do we live awake to that knowledge and guide our decisions from that place - not out of fear but from this truth? Research shows that the single most powerful way to transform a person’s life quickly is for them to have a near-death experience. Unfortunately, being close to death is not an easy thing to experience, and if you miscalculate, you end up dead. The Near Death Experience was developed by Jonathan Robinson after his own near-death experience completely changed his life. After many years of leading personal growth workshops, he wondered if he could create “artificial” near-death experiences for his participants. After years of trying different approaches, he stumbled upon the key ingredients, resulting in powerful meditations experienced by employees in Fortune 500 companies like Coca-Cola and Google. Go on this journey with Jonathan to discover or rediscover what really matters in your life, get clear about next steps, release old thoughts, energies, and … wake up! "I entered a state much like I have occasionally felt in the rare deepest meditations that I have had over the past 21 years. An amazing 'letting go of feelings happened and something akin to wonder and anticipation of what's to come happened each time." ~ C.G. Jonathan developed this meditation from a near-death experience he had, triggered by a serious car crash. This experience was deeply transformative and he wondered if there was a way to help others have a similar experience--minus the car crash, injuries and months of recovery. As a professional speaker, Jonathan gradually developed a 30-minute guided experience that actually worked. It was so profound that Fortune 500 companies ranging from Microsoft and Google to FedEx and Coca-Cola hired him to "induce" this experience in their employees. After going through such an experience, people reported feeling more joy and gratitude for life, more aligned with their values, and a clearer sense of purpose. The Near Death Experience is supported by iAwake's entrainment technology developed by Douglas Prater, iAwake Technologies' Chief Technology Officer and Creative Director. Doug created the soundtrack and targeted frequencies: 10 Hz (alpha), 5 Hz (deep theta), and 7.84 (alpha-theta border, Schumann resonance) to facilitate your journey and the integration of its lessons into your life. Use of headphones will provide the most optimal experience. To fully experience the potential of this program, please get comfortable, close your eyes and relax for the next 3 minutes. Allow the guidance and soundtrack to immerse in this powerful experience. Don't be fooled - this is not just beautiful music - it is the design and technology infused in the soundtrack that evokes the deep relaxation response, along with Jonathan Robinson's kind and experienced guidance. "After listening, I felt like I had taken a sword to all the B.S. and 'fluff' in my life and felt refocused on what is truly most important to me." "I became aware of what direction I want to go in my life. I also became more aware of things that really don't matter in this life." "I believe this is an extremely important exercise that everyone should consider taking." "Loved it. I've done similar things in the past, and Jonathan's presentation is the best I've ever experienced!" "Very much like shamanic journeying." "It seems like a good idea to practice dying safely before you die actually." You will find three different tracks as part of The Near Death Experience. On Track 1, I explain how this guided meditation came about, and how to prepare for it in order to get maximum value. Track 2 is the actual guided Near Death Experience. This track is twenty-one minutes long, but give yourself plenty of time afterwards because it can be somewhat intense. Finally, Track 3 is focused on how to integrate the insights you received from the meditation into your daily life. You’re welcome to listen to all three tracks on the same day, or they can be listened to on different days. In general, Track 1 and 3 need only be listened to once, whereas you can listen to the main track, Track 2, whenever it feels right for you to re-experience The Near Death Experience. Many years ago, after a serious car accident, I had what has commonly been called a “near-death experience.” It changed my life. It gave me a perspective and gratitude for life and our purpose here that I did not have before. It set the course of my life in a positive direction. In fact, researchers have discovered that the single most positive and transformative experience a person can have is a near-death experience. Unfortunately, almost dying is not easy and not fun. As a leader of personal growth workshops, I wondered if I could create an “artificial” near-death experience in my workshop participants. After years of trying different approaches, I stumbled upon the key ingredients that seemed to work amazingly well. The resulting guided meditation was so powerful that companies ranging from Coca-Cola to Google hired me to lead their employees through this experience. I’m very excited to finally have this experience easily available to whoever wants to know its transformative power. Available in MP3 and optional WAV formats for digital download, as well as an optional CD. Creating a transformative guided meditation experience is a long and multi-layered process. Like a mad scientist, for years I played with various ways to give workshop participants a taste of what it would be like to “die”--and then come back. I found that certain hypnotic induction techniques, along with a “ticking clock” and special sound effects helped create a sense of intensity. Finally, I found that a song called “Love, Serve, Remember” was unsurpassed in creating both an emotional release and a sense of “bigness” that was part of my own near-death experience. The soundtrack for The Near Death Experience was composed to and engineered to support, enrich, and deepen the meditation by guiding the listener’s brainwaves and physiological responses into a series of consciousness-altering states supporting transformative experience. 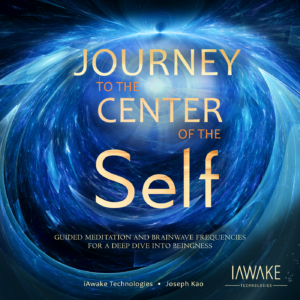 Using a powerful combination of brainwave entrainment modalities and psychoacoustic techniques, the soundscape facilitates states of profound states of inner peace, clarity, self-compassion, forgiveness, love, release, and spontaneous insight. The brainwave frequencies used in this program were carefully chosen to support the various mental/psychological/spiritual states that best complement each track and section, to create a holistic and potential life-altering experience. At different stages of the meditation, as well as the introductory and follow-up tracks, frequencies of 10 Hz (alpha), 5 Hz (deep theta), and 7.84 (alpha-theta border, Schumann resonance) are targeted to facilitate your journey and the integration of its lessons into your life. I dreaded this exercise. My fear was dredging up old wounds and disappointments and getting stuck there. The actual experience was quite satisfying. There seemed to be some letting go, acceptance, and peace from looking at some unpleasant aspects of my life." "I loved the song; it grabbed me emotionally in a positive way, giving me chills each time I listened to it and it brought me near tears the first time. I thought the exercises were great. I loved the way it the whole program is structured." Jonathan Robinson, developer of iAwake's Shortcuts to Awakening, is a psychotherapist, best-selling author of 12 books, and a professional speaker. Jonathan has made numerous appearances on the Oprah Winfrey Show, as well as many other national TV talk shows, and articles about him have appeared in USA Today, Newsweek, and the Los Angeles Times. He is also the co-host of the popular podcast Awareness Explorers (iTunes and Google Play). Jonathan is known for providing people with immediately useful information presented in a fun and entertaining manner. His website is FindingHappiness.com. Douglas Prater is an author, meditator, fitness enthusiast, and musician who holds a degree in Music: Sound Recording Technology from Texas State University. Born and raised in Littleton, Colorado, Doug also spent significant periods of his life in Austin, TX, and Atlanta, GA. Always longing to return to the mountains, he now lives in the Smoky Mountains of western North Carolina. Doug’s diverse work experience as an audio engineer, web designer, author, and actor, make his joining iAwake an excellent addition. Doug has composed and engineered brainwave entrainment audio tracks since 2010 for meditation, creative pursuits, and the attainment of peak performance flow states, and is the developer of the Stealing Flow suite, Stealing Flow - Power Nap, Infinity, and the technology for The Freedom of Forgiveness. He is also the producer, webmaster, and project manager of The Journey of Integral Recovery podcast. Doug is the author of the forthcoming book The Dharma of Harry Potter: A Muggle’s Guide to Buddhism (and a large catalog of fiction written under a handful of pseudonyms that he won’t tell us…we suspect he writes romance novels). If you are not completely impressed with The Near Death Experience: Waking Up to Life, let us know within the first 90 days, and we’ll gladly give you a full refund.